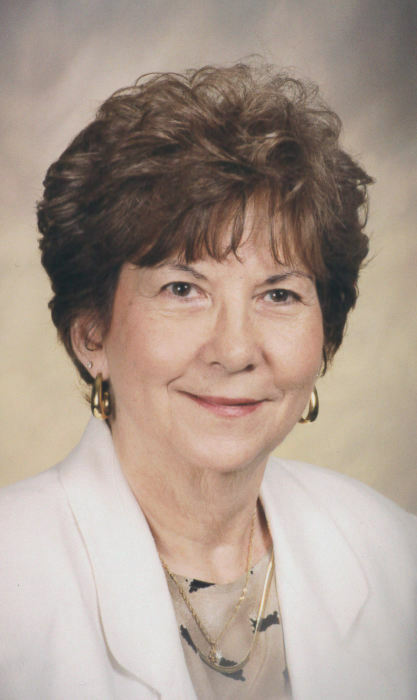 Obituary for Rose Marie Hudzik Stasko | Family Care Services, Inc.
New Springfield - Rose Marie Hudzik Stasko, on Sunday, March 25, 2018, our lord came to take her home. Rose was born April 16, 1932 to parents John Joseph Hudzik and Mary Edith Cuchran Hudzik. She was the youngest of eight siblings. Her siblings and their spouses were Michael (Betty) Hudzik, John Hudzik, Thomas (Violet) Hudzik, Mary Ann Hudzik, Cecelia Hudzik, Margaret (Howard) Arthur, and Agnes Lou (William) Schey. She spent her childhood living in Youngstown, Ohio, graduating from Wilson High School. Her first job was at Ohio Hardware Lumber Co. and she retired from Mahoning County Recorder’s Office. She was a member of St. Jude Catholic Church, St. Jude Alter Guild, AFSCME Retirees Chapter 1184 and Public Employees Retirement Inc. Chapter 18. Rose married her late husband, John Stasko, on September 29, 1956. They were married for 47 years. They had two children and two grandchildren. Some of her fondest memories were of family vacations to Sanibel Island, Fl., making kolachi with her daughter, gardening with her husband and son, and traveling Europe with her niece, Mary Caryl Schey York, to meet distant relatives. Her hobbies included spending time with her grandchildren, watching baseball, cooking and gardening. She also loved her pets, the late Calley and Smokey. She leaves behind son and wife John (Melissa) Stasko, daughter and husband Caryl (Richard) Sprankle, and grandchildren Derrick (Ivy) Sprankle, and Kristin (Joshua) Scott. She was a devoted mother, grandmother and Catholic, and will be missed. A Funeral Mass will be held at Noon on Tuesday April 3, 2018 at St. Jude Roman Catholic Church, Columbiana, With Father Christopher Cicero officiating. Friends and family may call from 10:30 to 11:30 on Tuesday April 3, 2018 at Warrick-Kummer-Rettig Funeral Home, Columbiana. The family would like to express their sincere gratitude for the compassion and professionalism of all the staff from Guardian Angel Home Care and Hospice of Akron, Ohio. Memorial donations may be made to Guardian Angel Home Care and Hospice 2641 S. Arlington Rd., Akron, OH 44319.